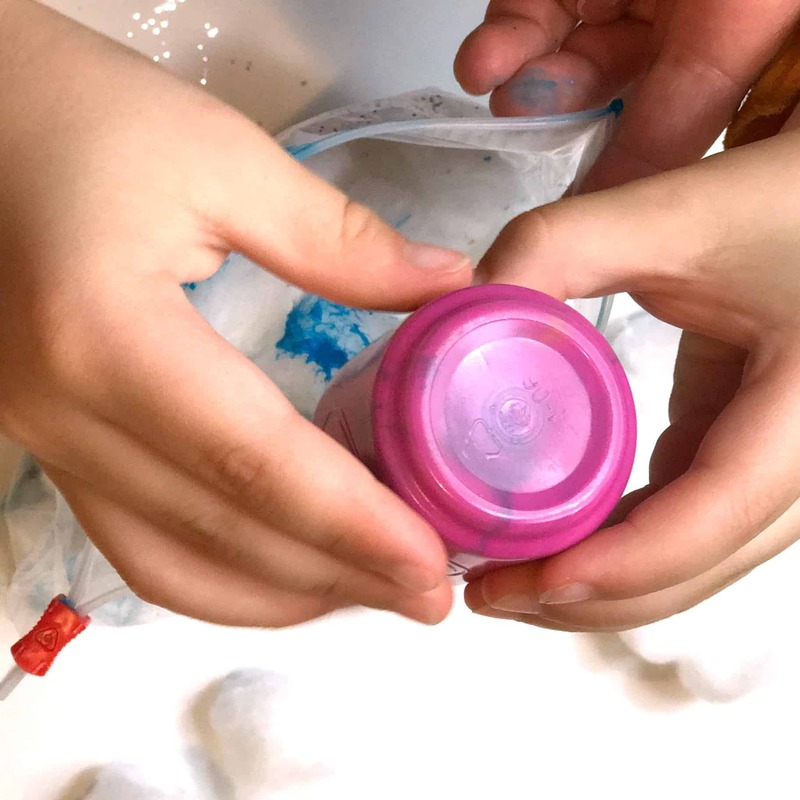 Kids are fascinated with space. 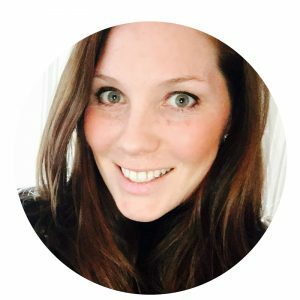 Planets, nebulas, UFOs, aliens, it all appeals to them. 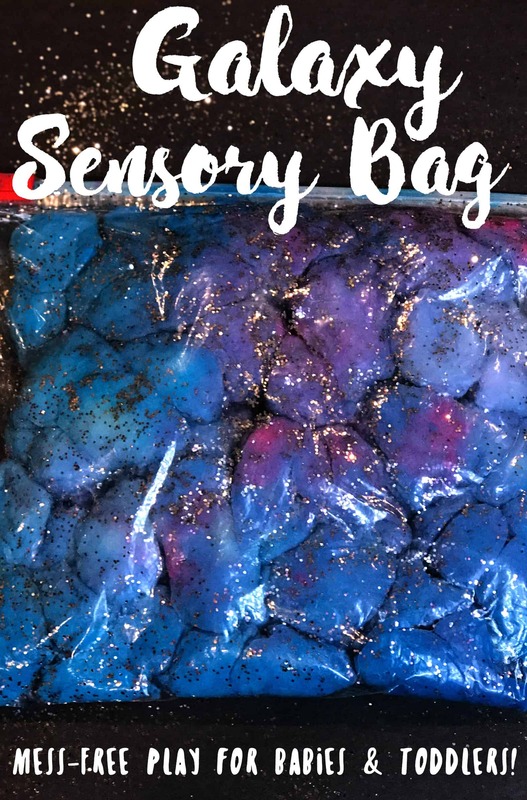 One of our favorite sensory tools are sensory bags and sensory jars. 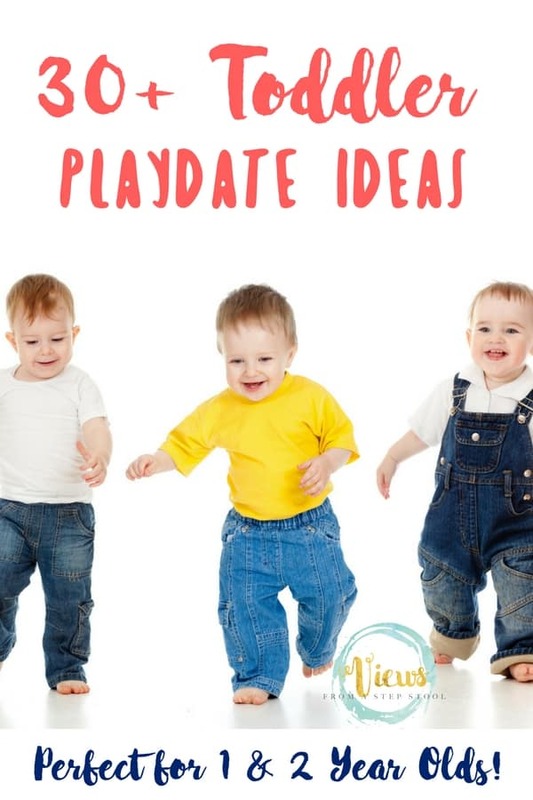 Namely, because they are mess-free and fun to make! 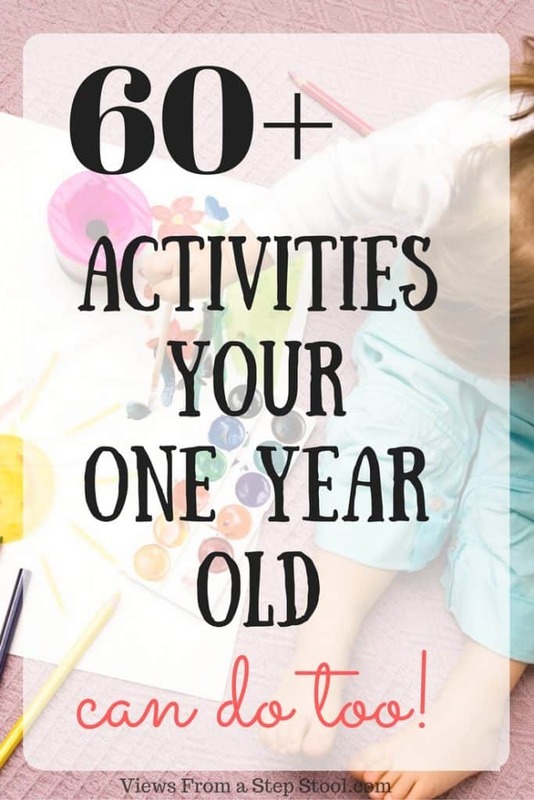 (We love a good messy activity, but I need to be prepared for those.) 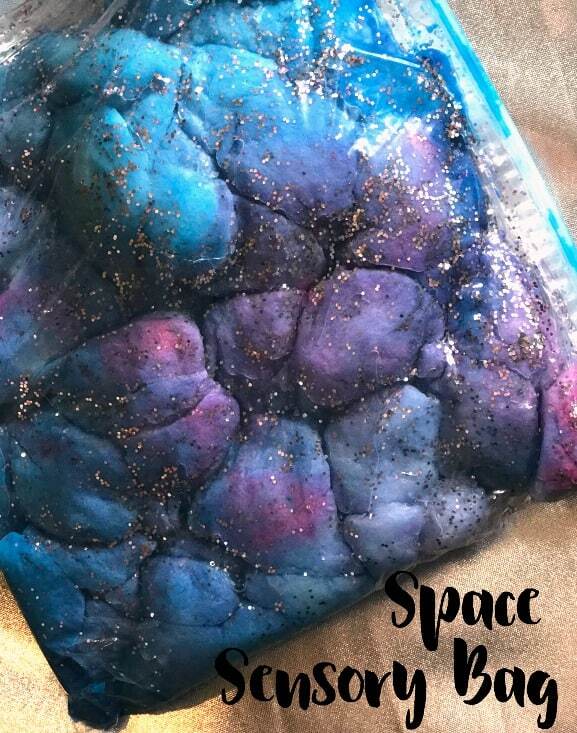 This space sensory bag is made in almost the exact same way we made our nebula in a jar (inspired by MomDot), only we made it the same way we make all of our sensory bags! 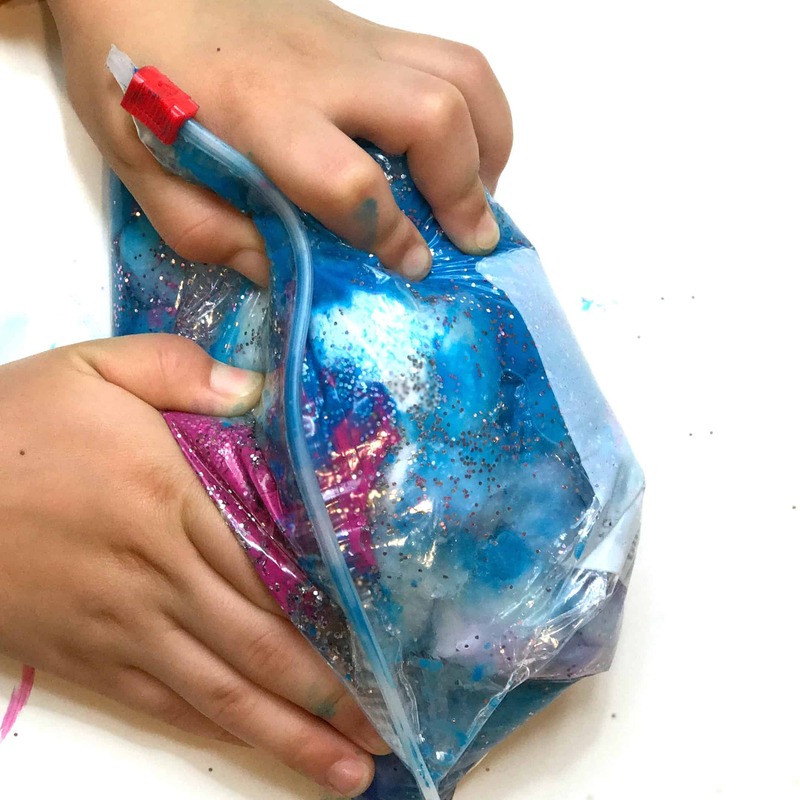 Begin layering materials inside of a ziplock bag. 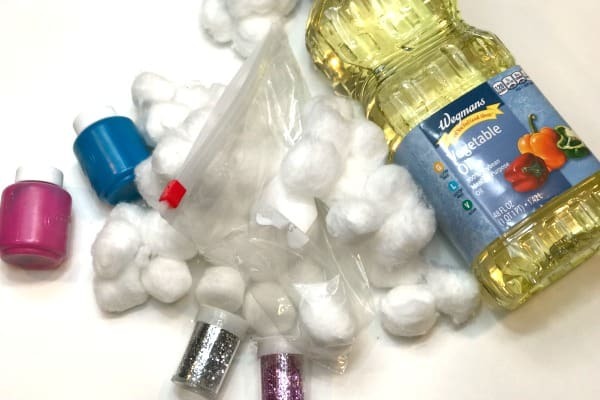 Cotton balls, a bit of oil, a bit of water, glitter, and some paint. 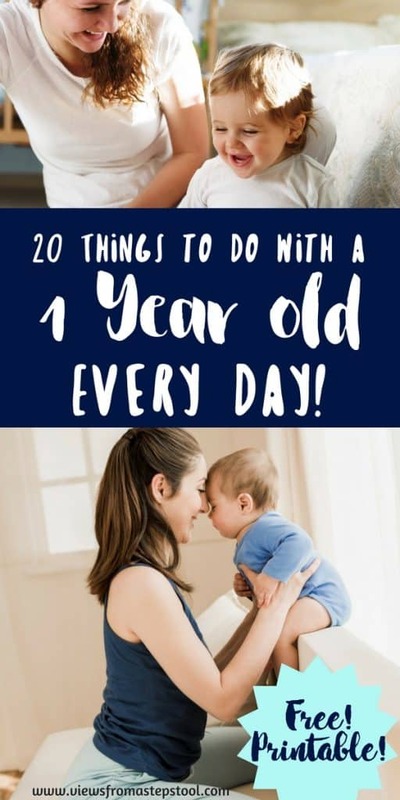 Continue this process over and over again. 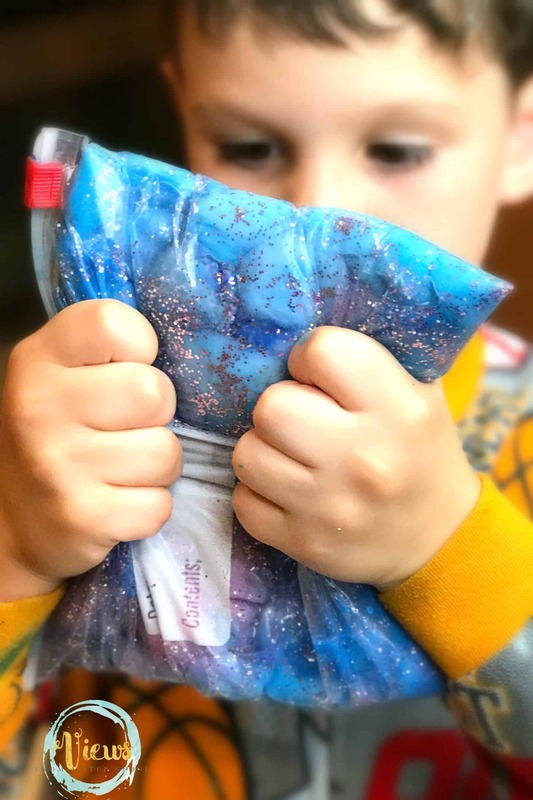 We used a quart sized ziplock bag and did about 6 layers. 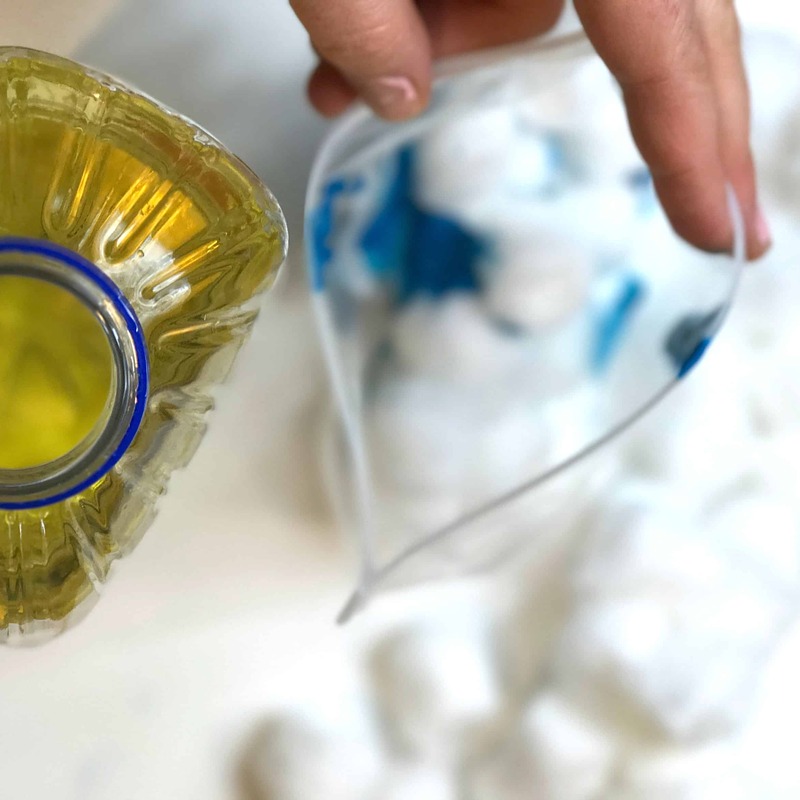 As your bag starts to fill with cotton balls, the water and oil will water them down making more room for more layers. 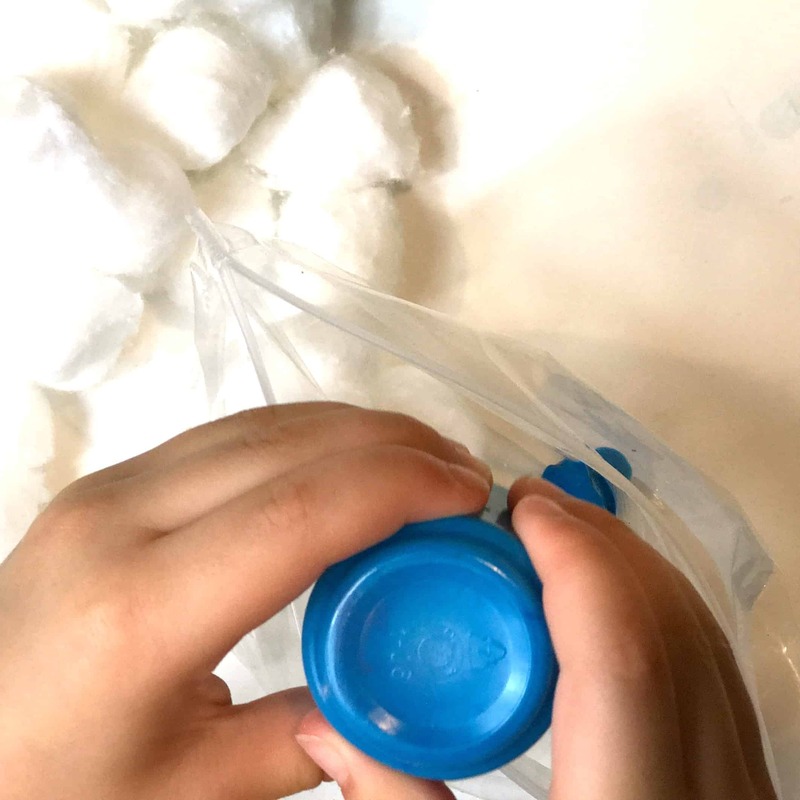 After a couple of layers, you can seal the bag and mix some of the materials together. 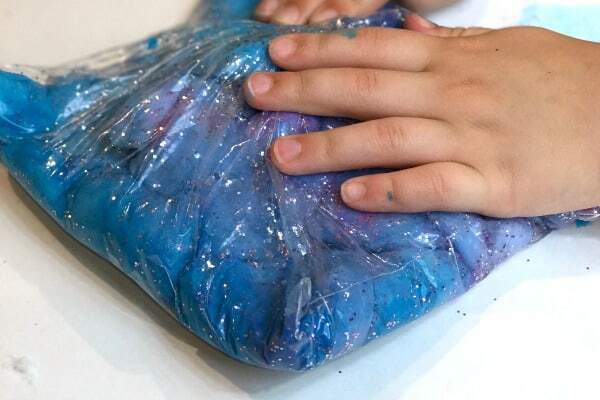 Kids love this squishy step! 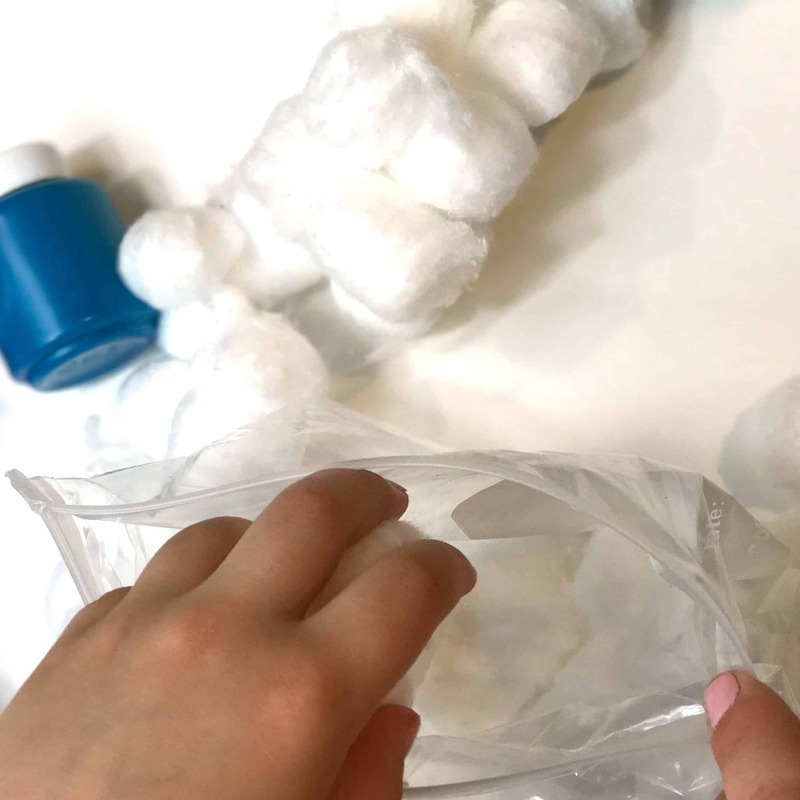 Once the bag is completely full, squeeze all of the air out before sealing. 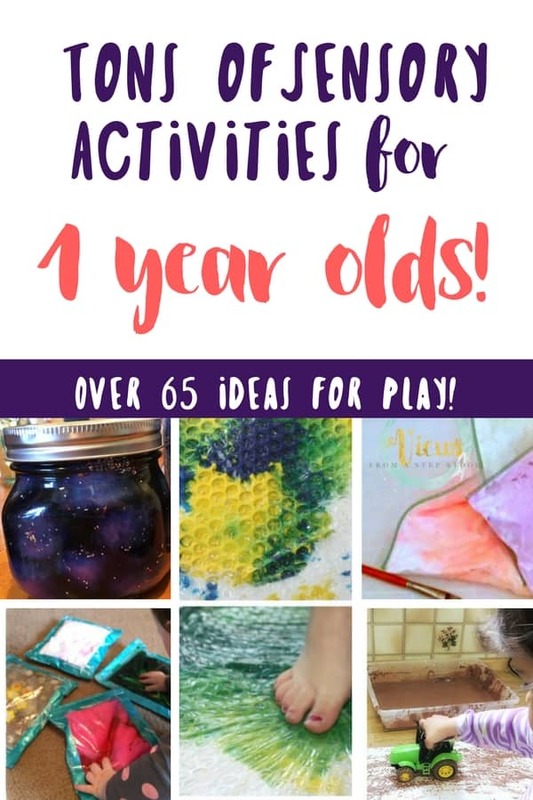 I like to seal all of the edges with duct tape just to ensure nothing bursts while the kids are squeezing and playing. 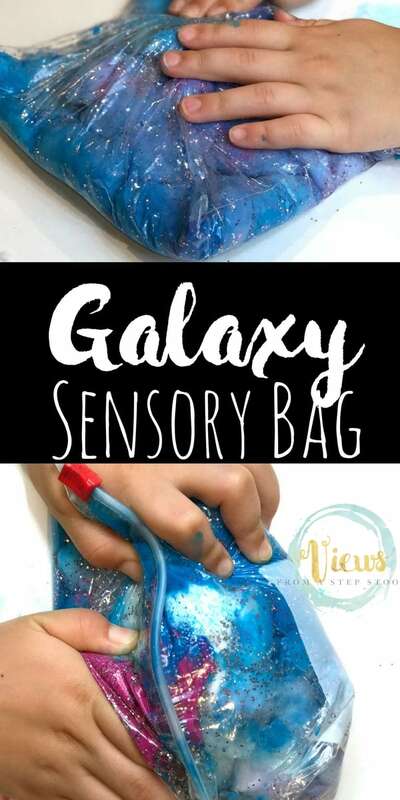 This is great as a sensory bag or as a calm down tool. 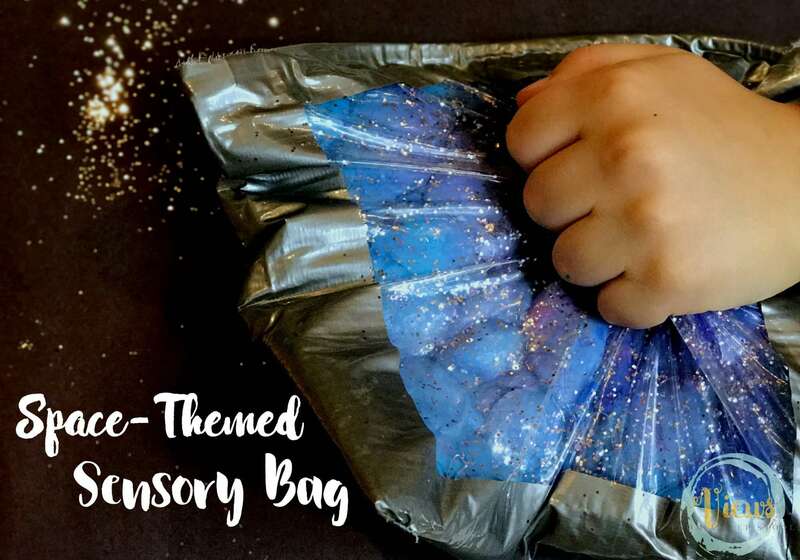 My spirited kids needs calming tools often when becoming angry or upset, and hands-on, sensory tools are always their favorite. 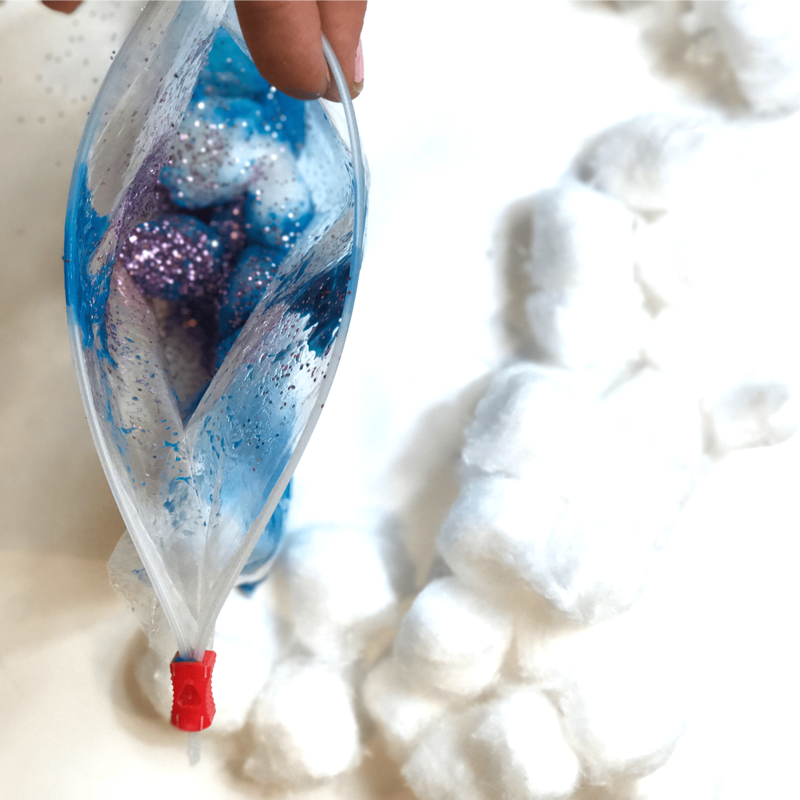 This kind of sensory play is great for babies and toddlers as it is mess-free, and mesmerizing! 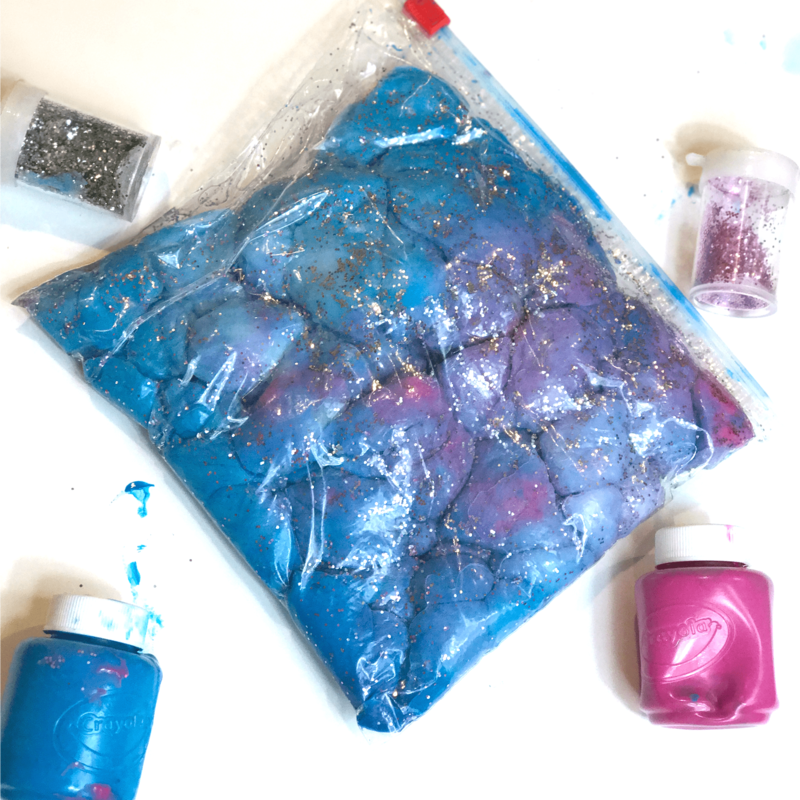 Who doesn’t love to watch glitter squish around in a bag?? 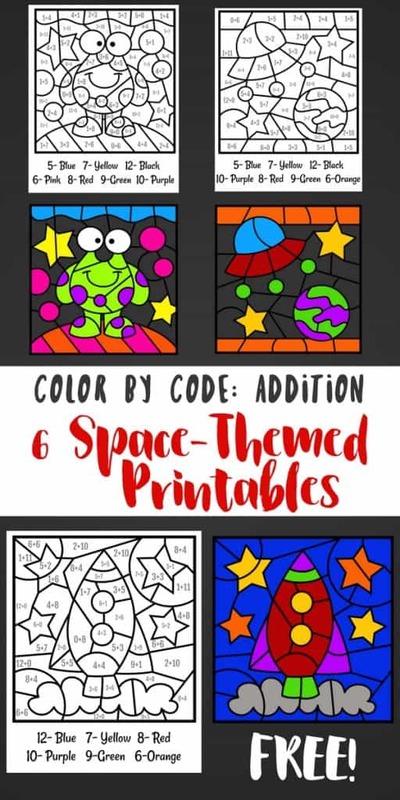 For more nebula and space-themed activities, check out the nebula in a jar, and color by code (addition) space printables!